Why Do You Need To Know Rare Horse Breeds? There are hundreds of horse breeds throughout the world. Most people will know the most famous horse breeds. Some horse breeds are becoming disappear from the universe day by the. 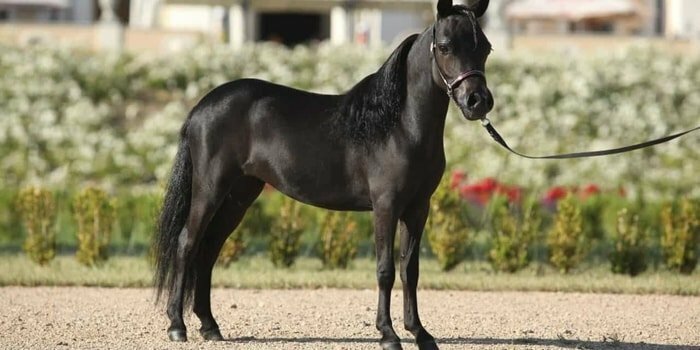 The rare horse breeds are one of the most discussed topics among horse lovers. In my article, I have summarized the maximum rare horse breeds of the world for the equine lovers. Every day, many animal species disappeared from the animal and plant kingdom. Horse breeds are one of them. Nowadays, people are interested in keeping and maintaining the popular horse breeds. Few people are interested in rare horse breeds. 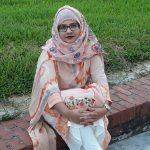 I think in my article, you get a brief idea about the horse breeds which is most endangered in the world. The breed originated in the United States. 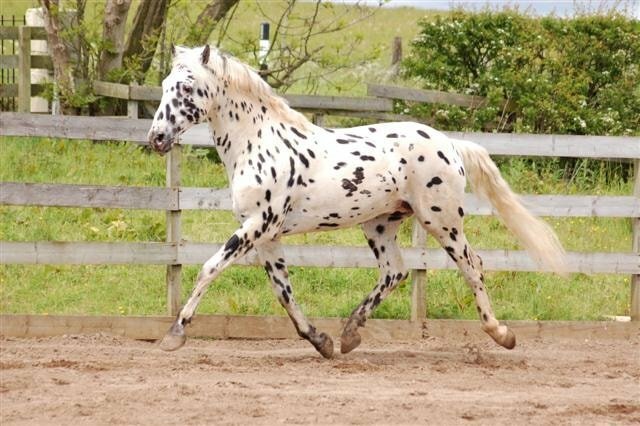 There are two color patterns, known as Overo and Tobiano. The Overo, like the Tobiano, may be predominantly dark or predominantly white. 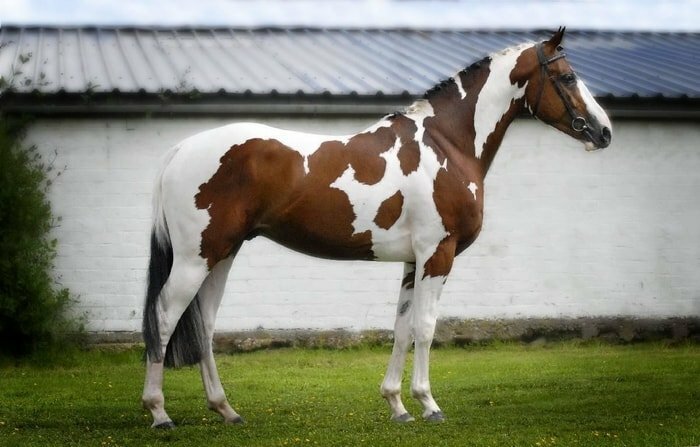 Body markings are usually irregular and somewhat scattered, and white markings may be “Splashy.” The Tobiano markings are generally regular and distinct, often oval or round shapes that extend down over the chest and neck, giving the appearance of a shied. The Paint should be short-coupled for a high degree of action and have the ability to move quickly for any stock horse event. The Caspian horse originated in the Caspian Mountains in Iran. 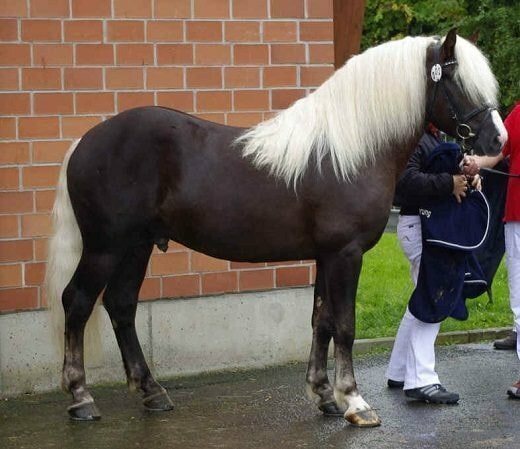 Although the horse is small, with an average height of 11 hands, Caspians are not considered as Pony horse breeds. They have a thin body with a graceful neck, extended sloping shoulders, and a thick girth. The breed is light, well-balanced, robust and agile. Their jumping ability of the horse is extraordinary for their size. The Caspian kind and willing nature and smooth gait make them ideal as a child’s first horse. The country of origin of this breed in England. Though one regarded as superb coach horses. Nowadays, Cleveland Bays valued for their ability to produce high quality crossbred rare horse breeds. 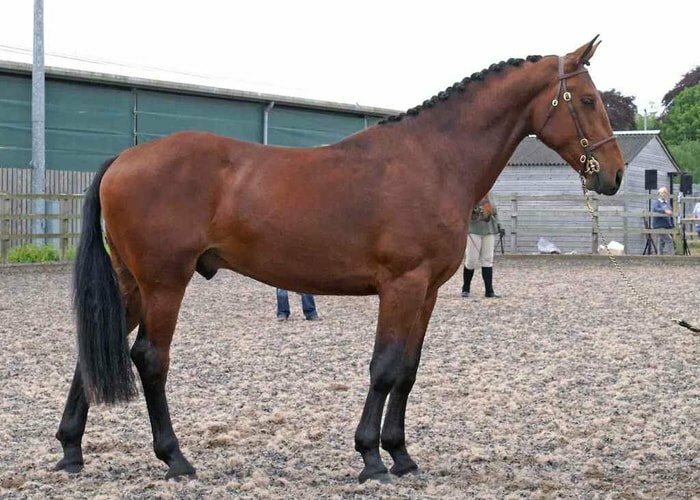 Cleveland Bays are active and sound clean-legged horse breeds with substance and well temperament. After crossing with Thoroughbred mares, Cleveland produces ideal racehorses, a combination with the speed and ability of the Thoroughbred with the right movement and hardiness of the Cleveland Bay. Colonial Spanish Strains include numerous horse, which may be feral populations or standardized breeds. They are Abaco Barb, Carolina Marsh Tacky, Banker horse, Spanish Mustang, Baca-Chica. They are small size, Spanish type, blood markers and indicating origins in the Iberian peninsula. The usual height is 13.2 to 14 hands, and the weight is average 700 to 800 pounds. There is a Hackney Pony and Hackney Horse. 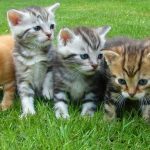 Each has a bold head, large eyes, and tiny ears. After training, the Hackney pony excels at a collected trot with an excellent, energetic display in shows. The Hackney horse’s activity is not quite so popular. Size ranges from 11 to 16 hands. 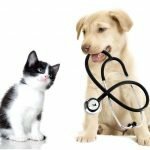 The breed is originated in England. The breed originated in the Newfoundland, Canada. The pony is sturdy and muscular, and they have many colorations. 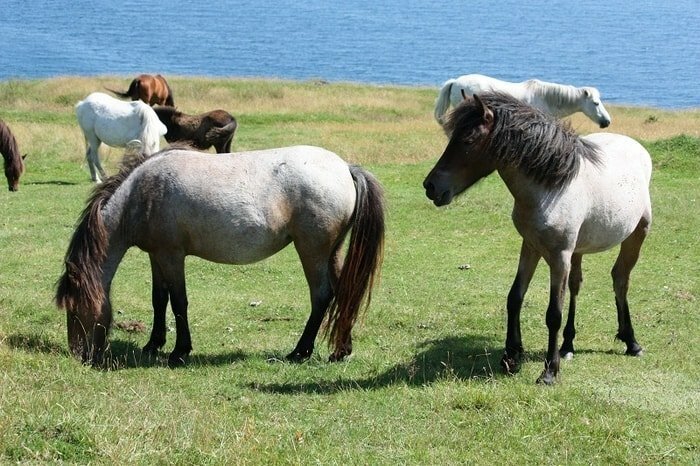 The pony is often black, brown, bay, chestnut, roan, grey and dun in color but the white color is rare. The pony used in draft and multi-purposes. Newfoundland is usually 11 to 14.2 hands, and the weight is average 400 to 800 pounds. The Shire is a large draught breed that originated in the United Kingdom. They mainly used in draught and show purposes. The average weight of the Shire is 850 to 1100kg. They stand from 16 to 17 hands. The shire is a large size, feathered legs, and draught conformation. The horse is black, bay, grey and brown in color. The Suffolk Punch originated in England. The other name of this breed is Suffolk. The average height is 16.1 to 17.2 hands, and the average weight is about 900 to 1000 kg. The horse is always chestnut in color. 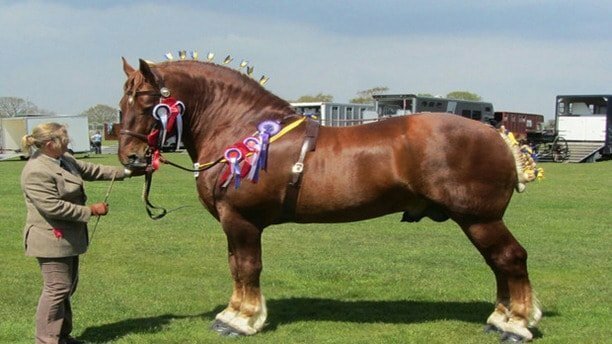 Suffolk punch is well-muscled, energetic and powerful. They are hard workers and mainly used in draught work and pull heavy artillery in wartime. 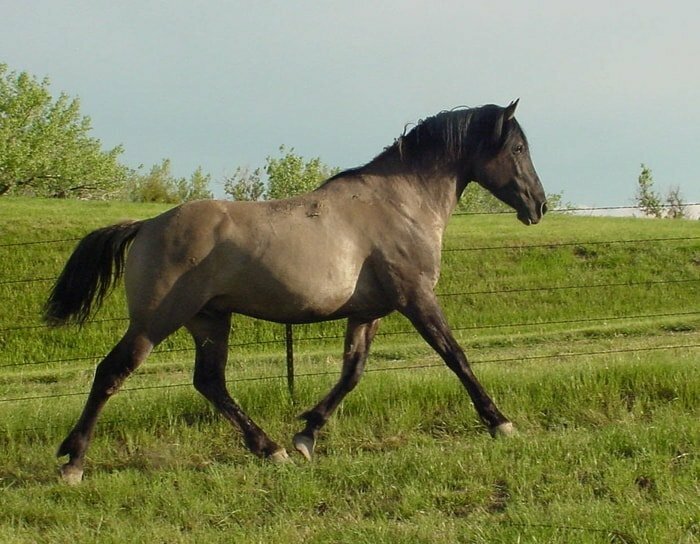 The Akhal Teke originated in Turkmenistan. They are the vigorous, restless and excitable horse. 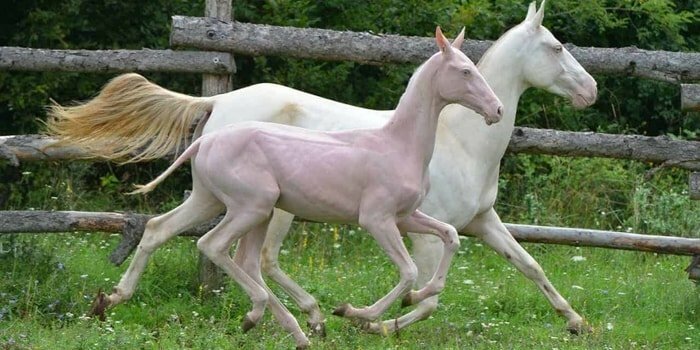 The Akhal Teke in the variety of color which include bay, chestnut, palomino, gray, raven black and dun. The breed stands for 14.2 to 16 hands, and the weight is average in 900 to 1000 pounds. They are used initially by nomadic tribesmen of Turkmenistan for transportation and also for dressage, show jumping, pleasure riding, and long-distance racing. Canadian horse is energetic, beautiful, intelligent and well-muscled breed. The other name is French Canadian Horse. The horse originated in Canada. 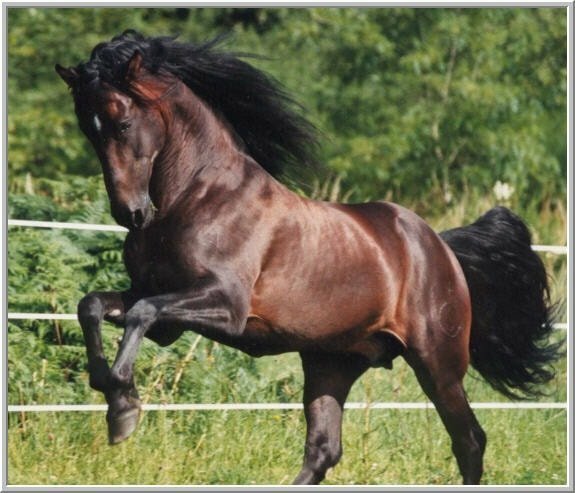 Most horses are dark colored: bay, black, or brown. Sometimes chestnut is found. They usually stand for 14 to 16 hands, and the weight is average 450 to 610 kg. They are a hardy horse and easy to train. They are mainly used for riding, jumping and driving purposes. 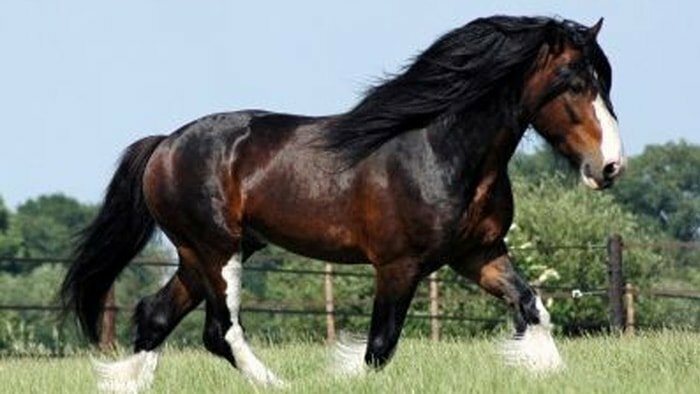 The horse is also called American Bashkir Curly, North American Curly Horse, and American Curly Horse. The country of origin of this breed in North America. They are used in dressage and show jumping. They have curly hair, and common coat color is black, gray, pinto and appaloosa. The breed stands for 14.3 to 15 hands. It is alert, friendly nature and ideal for roping and other types of equine events. The Marwari originated in India. Another name is Marwadi, Malani. It is inward curved and touching ears, straight or slightly roman head and slim body. They have thin skin, extreme hard hoof, and high carried tail. The coat color is black, bay, roan, chestnut, grey, skewbald and piebald. The Marwari stands for 14 to 16 hands, and weight is average in 340 to 450 kg. They used to show and religious purposes. Miniature horses include the American Miniature Horse and the Falabellas of Argentina. Miniature never measures more than 8.2 hands at the base of the last hairs on the mane. Miniature horse’s size must be in proportion to the length of its neck and body. Miniature must also possess broad foreheads with large expressive eyes set well apart. They are used to show opportunities. 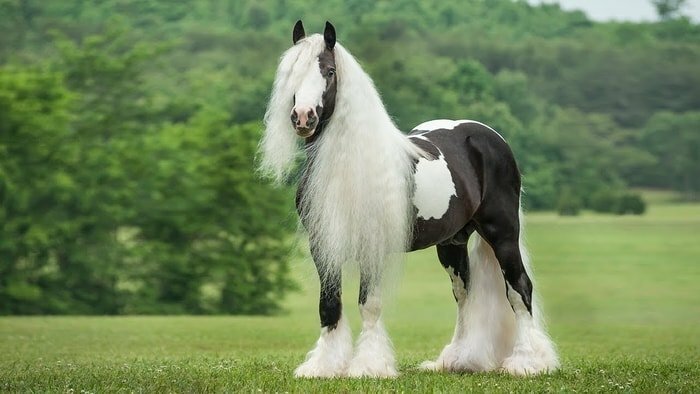 The Gypsy Vanner is originated in Ireland, united kingdom. They are often piebald and skewbald. The height of this breed is usually 13 to 16 hands. The horse is a “people-sized” draft horse. The unique traits of this breed are cob conformation and feathered heels. They are a strong, well-muscled and beautiful horse. 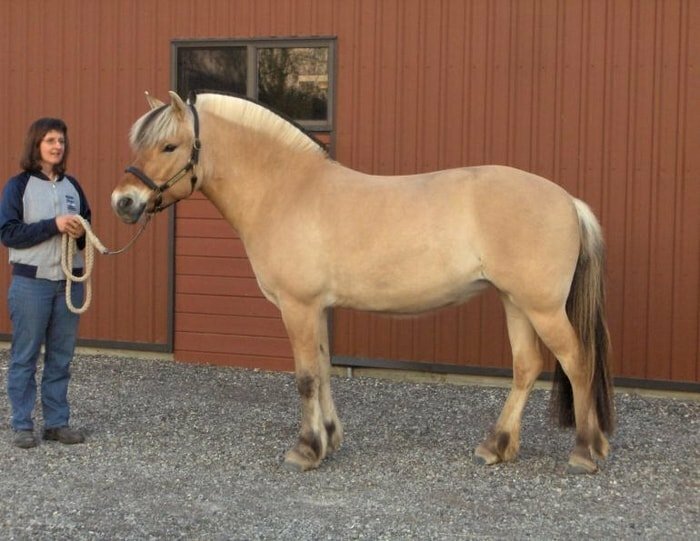 Also was known as the Norwegian Fjord Pony. The Fjord Horse is a native horse breed of Norway with origins dating back to the post-glacial era. It is a good-natured breed suitable for both harness and riding. 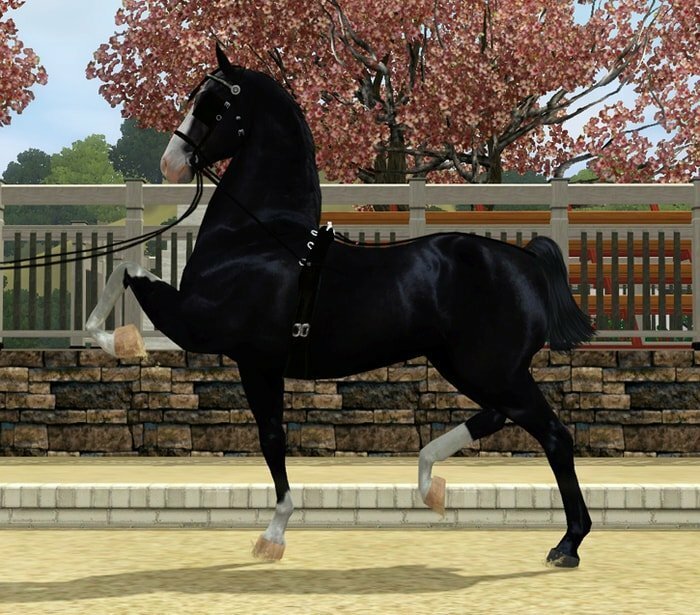 Standing at 13 hands-on average, the Fjord classified as a pony for competition purposes. It is a dun-colored animal and kind, a reliable mount for riders of all ages. The alternative name of this breed is Knabstrup. The country of origin in Denmark. The Knabstrupper usually stands for 15.2 to 16 hands. The coat patterns are dependable to a full leopard-spotted coat. Some horse may be chestnut or bay. The unique characteristics of this breed are leopard complex coloring common. The origin of this breed in the United States. 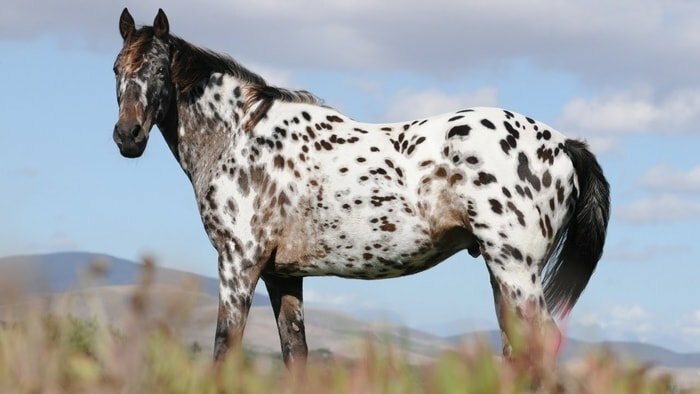 The most distinguishing features of the Appaloosa horse is its coat color pattern. Most Appaloosas, however, are white marking over the loins and hips with dark, round or egg-shaped spots, varying in size from specks to 100 millimeters in diameter. Other characteristics of the breed are a white sclera around the eye, mottled skin and striped hooves. Stock work, sprint racing, show ring competitions, dressage, and jumping are the primary uses of the Appaloosa. 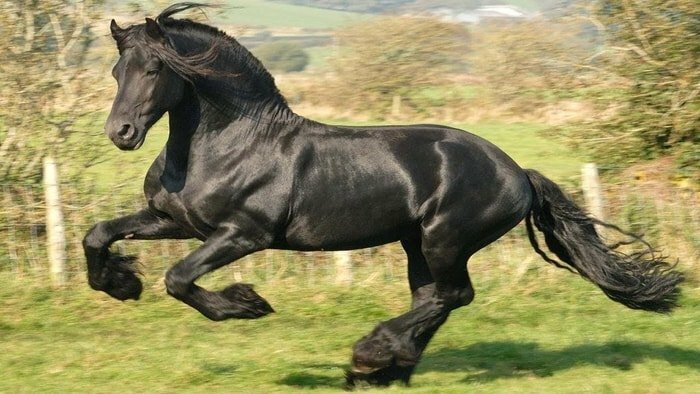 A heavy horse especially suited for harness work and high-level dressage, the Frisian originated in Friesland, a province of the Netherlands. These horses were exclusively bred for a period of 1000 years. The standard height of this breed is 15 to 16 hands. They make a flamboyant impression in the show ring because of their extravagant natural knee action and their long wavy mane and tail. The origin of this breed in Germany and the other name is Schwarzwalder or Kaltblut or Black Forest cold blood. They have the dark chestnut coat with a flaxen mane and tail. The horse stands for 14.2 to 15.3 hands, and the weight is average in 650 kg. 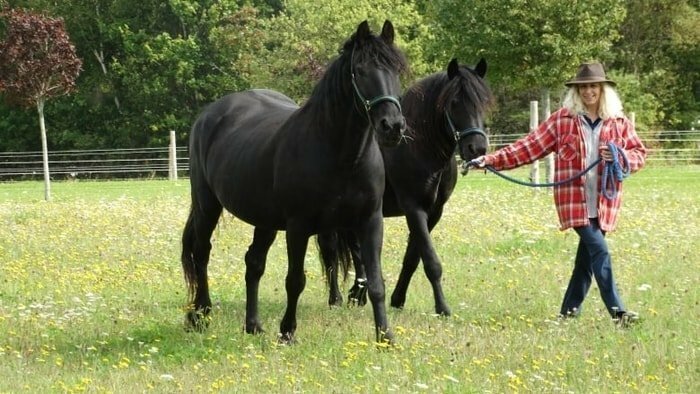 The breed is small to medium size and mainly used for work in the forest, riding horses and pulling carriage and carts. The Sorraia Mustang originated in Portugal and Germany. 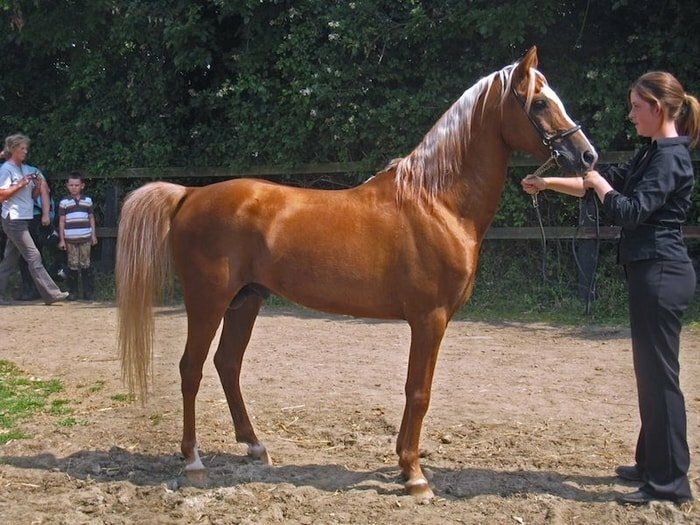 The height of this breed is average in 14.1 to 14.3 hands, and the color is generally dun or a dun variation called grullo and without white markings. The unique features are lean, good withers, leggy conformation, convex profile, slim neck. The horse mostly discusses the rare horse breeds loves to keep them safe and sustain in the earth. I have tried my level best to accumulate all the rare horse breeds in one article for you. 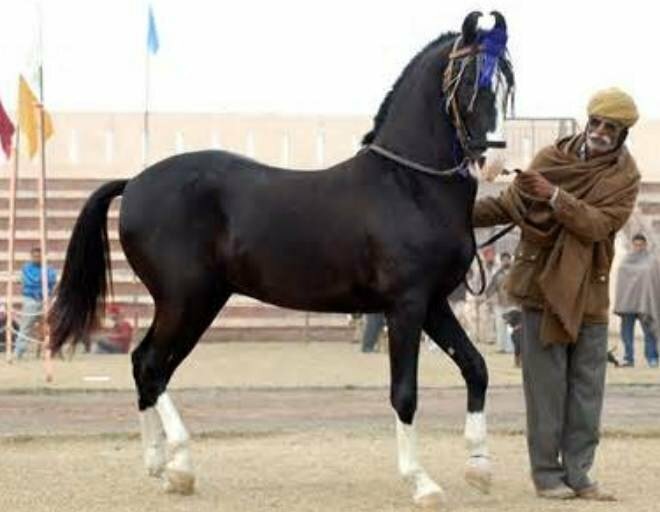 The name I have given in the above discussion, some horse breeds are extremely endangered. By adequate awareness, we can take the necessary steps to keep them alive and viable for the future generation. 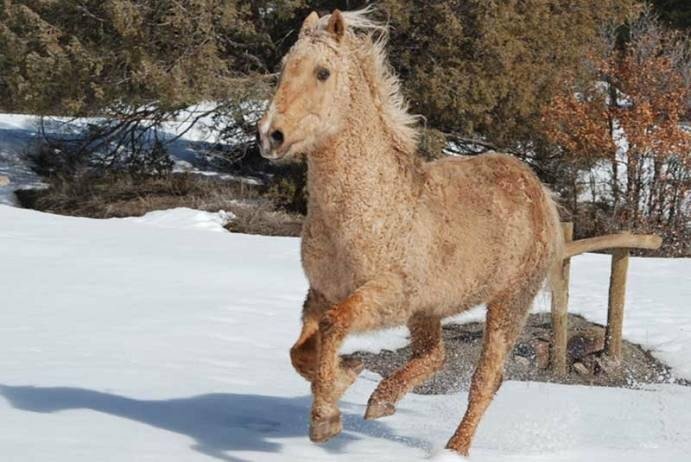 I believe you will agree with me and show your friends this list of rare horses.